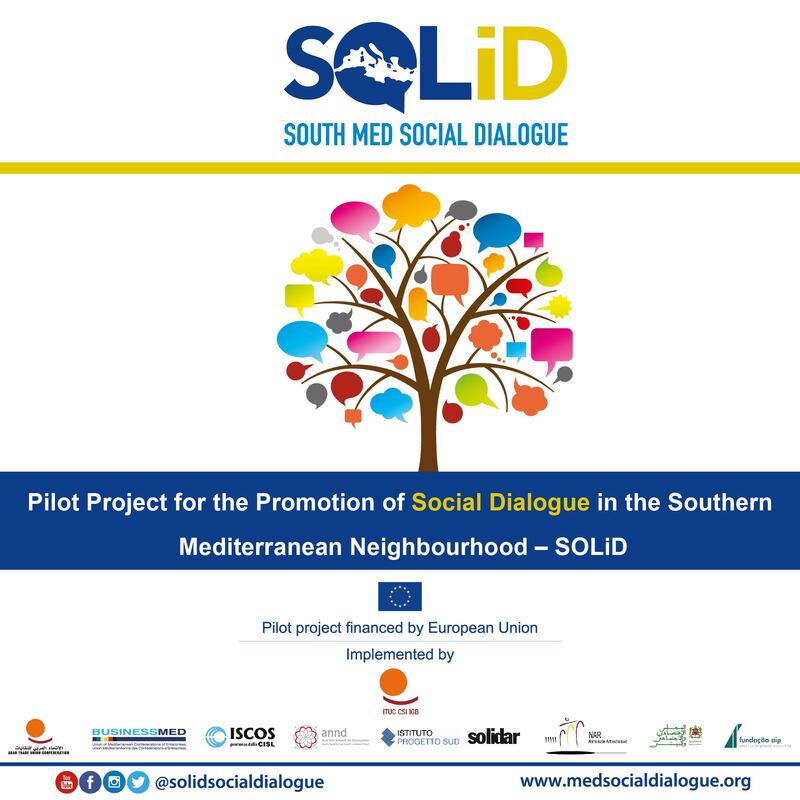 SOLiD is a pioneer programme whose ultimate goal is to promote a dynamic, inclusive and reinforced social dialogue via the development of the capacity of Trade Unions and their homologues of Employers’ Associations and civil society organizations and the promotion of a civic and multipartite dialogue between the social partners in three target countries: Tunisia, Jordan and Morocco, in view of the major political changes that the southern Mediterranean region witnessed since 2011. Countries covered: Jordan, Morocco and Tunisia. The assessment of social dialogue institutionalization levers based on an enhanced cooperation between the social partners. Research and analytic studies: A set of effective actions and strategies providing support for the development and the progress throughout the operations. Dialogues with civil society and local authorities: an effective way to inject innovation and new know-how to the project. Communication actions: A pool of support activities for the project including advisory and managements structures, monitoring and evaluation, and the communication plan and visibility actions and material of the activities, the outcomes and results.